With the first day of the four-day practice match being abandoned due to rain, the toss took place on Thursday. Sydney: Team India put up a positive performance in their tour game against Cricket Australia here at the Sydney Cricket Ground (SCG) on Thursday, with Virat Kohli and Prithvi Shaw both scoring half-centuries. Apart from them, Cheteshwar Pujara, Ajinkya Rahane and Hanuma Vihari too scored fifties as the visitors were bundled out for 358. With the first day of the four-day practice match being abandoned due to rain, the toss took place on Thursday, which was the second day of the match. 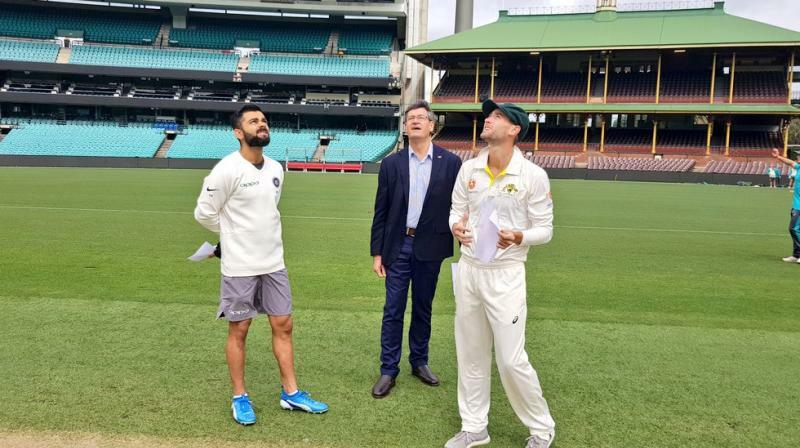 What took Twitterati by surprise was when Virat Kohli walked for the toss wearing shorts, whereas his rival captain Sam Whiteman was seen in the team’s official kit. Interestingly, the stadium was empty and nobody turned up to watch the game. The first of the four Tests between Australia and India will take place in Adelaide starting from December 6. The recently-concluded T20I series was shared by both teams with Australia winning the first and India the third. The second match was called off due to rain.